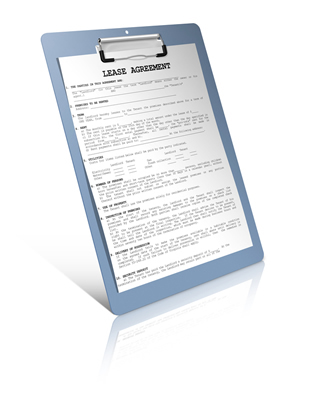 What are the Minimum Requirements for Owned, Financed and Leased Vehicles? Maybe you finally paid off the loan on your new car and you're trying to decide how much insurance to purchase now that you're no longer subject to your bank's minimum requirements. Or maybe you're leasing a vehicle and you need to know what damage you'll be held liable for in the case of an accident. Or maybe you've financed a car and you don't understand why the bank is making you pay for so much additional insurance over your state minimum. Regardless your current ownership situation, you are likely subject to certain coverage rules or minimums - instituted by either your state or your finance company - and you're wondering why each is requiring you to carry a certain value or level of coverage. Where did these minimums or coverage types come from, and why on Earth does your state or financier care? In the case of state-mandated minimums, each state's insurance requirements will vary quite widely and often interact with the current ownership condition of the vehicle in question and, while it may seem like a racket, these rules exist for a good reason. The cost of an auto accident can be anywhere from thousands to millions of dollars, depending on the damages and injuries that result; these costs are often passed to the state in the event that the responsible party cannot afford to pay. In the case of finance or lender-required minimums, the company financing the vehicle will require you to carry a minimum amount of insurance in order to protect their investment. For example, if you were in an accident and the vehicle was to be totaled, the lender no longer has any collateral they can use to compel you to pay your loan. Auto finance companies can also be on the hook legally if there was to be an accident (in accidents, not-at-fault parties will sometimes choose to pursue the leinholder of a vehicle if negligence on their part can be proven), but carrying coverage for that reason is more or less secondary to the primary goal of protecting their hard asset. The minimum required coverage on vehicles owned outright by the driver is liability-only coverage. Insurance companies generally recommend that your insurance policy covers $100,000 in bodily injury and $300,000 per accident, although state minimums are most often considerably lower than that. In addition to the minimum required liability insurance, many car owners will choose to add on collision and comprehensive car insurance. Collision insurance will cover damage to your car resulting from an accident in which you were at fault, and comprehensive coverage covers any "unexpected problems," including fire or theft. Finally, umbrella coverage fills any gaps in existing insurance and picks up the slack when all underlying coverage has been exhausted. As an example, say you have an accident on the highway with another car. Basic liability insurance will pay for any damage to the other car or its passengers up to the maximum liability limit. Collision insurance will pay for any damage to your own car. And if, any expenses exceed the maximum liability limit, umbrella coverage can take care of the rest. Should you choose to carry liability-only insurance, your policy would pay for the other party's vehicle (if you were at-fault), forcing you to cover the damages to your vehicle out-of-pocket. Worse, if you were not at fault, the other party was responsible for the accident and they happened to be either uninsured or underinsured, you would be on the hook for the repairs to your vehicle. Whether you choose to get liability-only coverage or liability plus comprehensive/collision coverage, be forewarned when selecting your limits - car accidents can be expensive and you may well end up being responsible for bills exceeding your coverage. Also keep in mind that you can choose your deductible, which is the amount of money you pay before the insurance kicks in. Options usually range from $250 to $1000, but note that the higher the deductible, the lower your premium. The minimum required coverage on vehicles financed by a third-party is liability-only coverage plus comprehensive and collision coverage. It's very common for those who can't afford to pay for a car upfront to finance a vehicle on the path to ownership. The state legal liability limits apply to financed as well as owned cars, so at the very least you'll have to purchase bodily injury and property damage liability insurance. In addition, people financing vehicles may be required to purchase additional collision and comprehensive insurance by the leasing agent or lender. Since the bank or agent owns your loan until you've paid off the financing, they want to make sure they're not left holding the bag if something happens. Minimum requirements vary based on the institution (the state has no say in this matter) but remember that, if you don't own your vehicle outright, you may be subject to additional minimum liability insurance requirements beyond the legal minimums in your state depending on your lender. Just like you wouldn't get a loan without asking what your APR would be, you should also ask your financing company or agent what their minimum coverage levels are before you buy. It's a well-kept secret that rates will vary significantly between corporate banks, credit unions, and the finance branches of dealerships, for example, so be sure to investigate all of your options before you sign on the dotted line. The minimum required coverage on vehicles leased to a driver by a dealership is liability-only coverage plus comprehensive and collision coverage. Leased vehicles are subject to the same liability insurance minimums as owned and financed vehicles, so when you lease a car you are still required to purchase, at a minimum, bodily injury liability and property damage liability insurance. Just like with a financed vehicle, you will likely be required by the leasing agent (typically the dealership from which you leased the vehicle) to purchase collision or comprehensive insurance. The chief difference between a financed vehicle and a leased vehicle is that, in the case of leased vehicles, the dealership needn't compete with other financial institutions when setting your minimum insurance coverage requirement while issuing your lease; this means you won't have a variety of options to consider in terms of minimum required coverage outside of getting a different lease from a different dealership in your city (though they rates will be identical more often than not.) Bottom line: be prepared to accept whatever requirements the dealership puts in front of you because you won't have many other options. Some dealerships may also require you to maintain gap insurance during the first 12 to 18 months that you drive a vehicle. If you total a leased car, the payment you get from the insurance company will be based on the car's actual cash value, which takes into account depreciation. As a result, the total payment will often be less than what you would owe the car dealer based on your contract. Gap insurance covers this difference. Generally speaking, gap insurance is included in lease payments, but you should ask your leasing agent about the specific policy. An alternative to gap insurance is loan/lease coverage. Loan/lease coverage covers some percentage (usually about 25%) of your car's cash value in the case of a total loss and is an option that you would buy during the leasing process. This coverage is often - but not always - enough to pay off the difference between the insurance company's payout and the remaining amount owed on the lease. Gap coverage and loan/lease coverage are usually very close in terms of cost, so picking one over the other is often a function of where the best deals happen to be at the time you lease your vehicle.